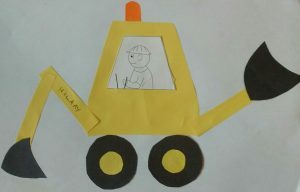 A simple digger made from coloured paper shapes was very popular, and not just with the boys. In advance, cut out circles for wheels, and digger bucket shapes from black paper. 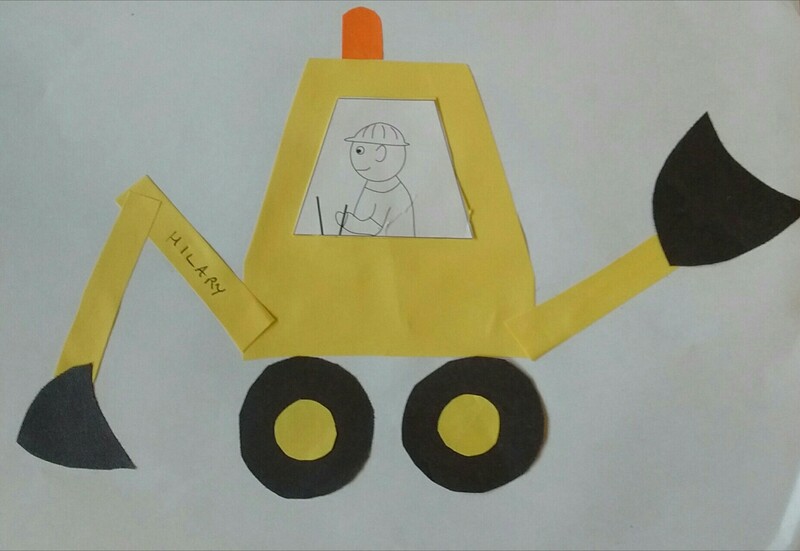 From the coloured paper prepare large pieces for the main part of the digger – to make it I took the digger driver’s window shape and cut a larger shape that would fit on, remembering to leave room for the driver’s legs – and thin strips to be the arms of the digger. (I got four diggers’ parts out of one piece of A4 paper.) Small circles of colour for the middle of the wheels look good too. I also cut light-shaped pieces from orange to go on the top of the diggers. 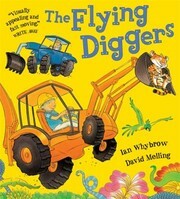 The children should glue the pieces of digger to the paper, and can colour the driver and draw on extra features such as a pile of earth for the digger to be moving. We wrote our names on the digger’s arm (where it would normally say JCB or similar).